Use for protection when doing astral traveling or past life regressions. When the time is right to visit your sacred space, allow us to enlighten the journey. 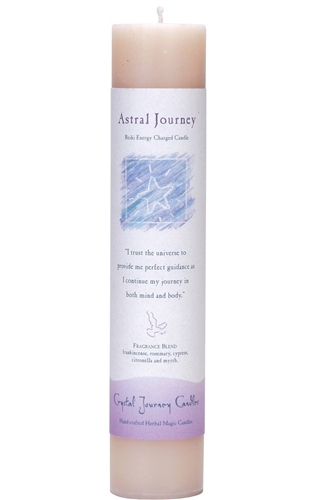 Each of our magic candles has been designed with a specific intention using a unique blend of essential oils by Crystal Journey. Each candle comes with an affirmation and inspirational message. 1.5" x 7"